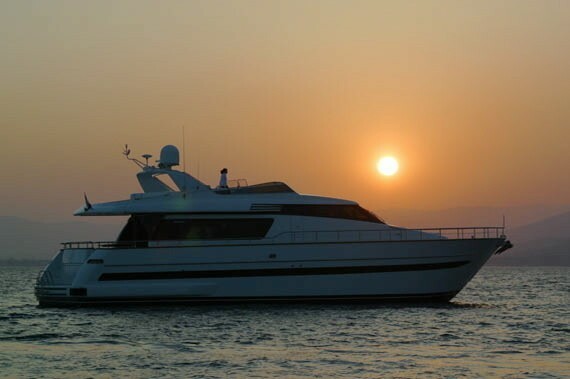 Luxury Motor yacht LOLEA is a popular San Lorenzo design, built in 2000. 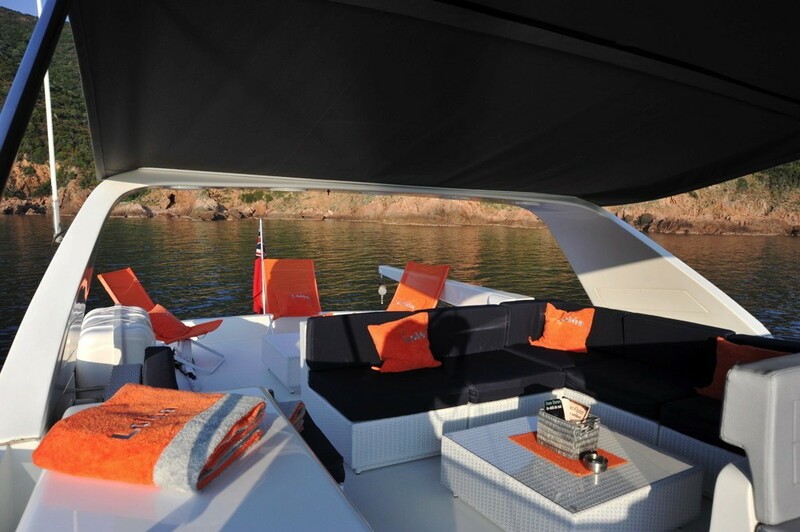 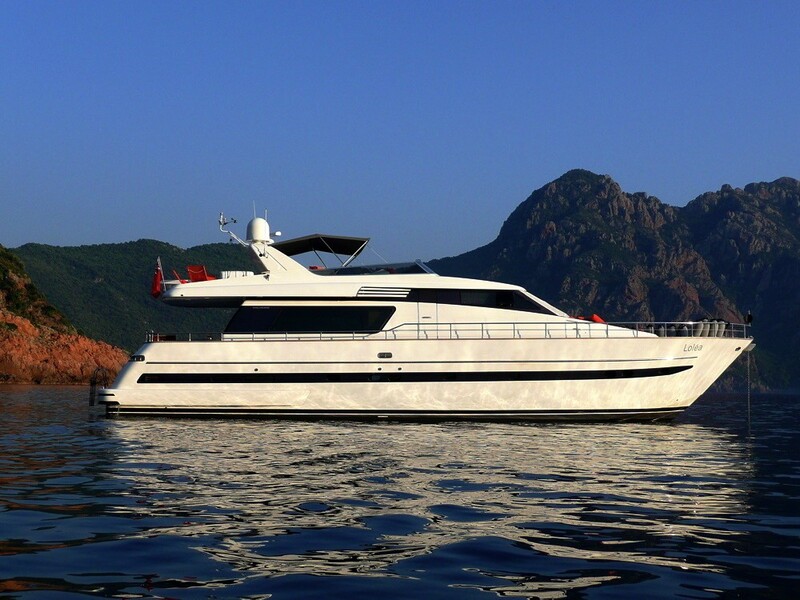 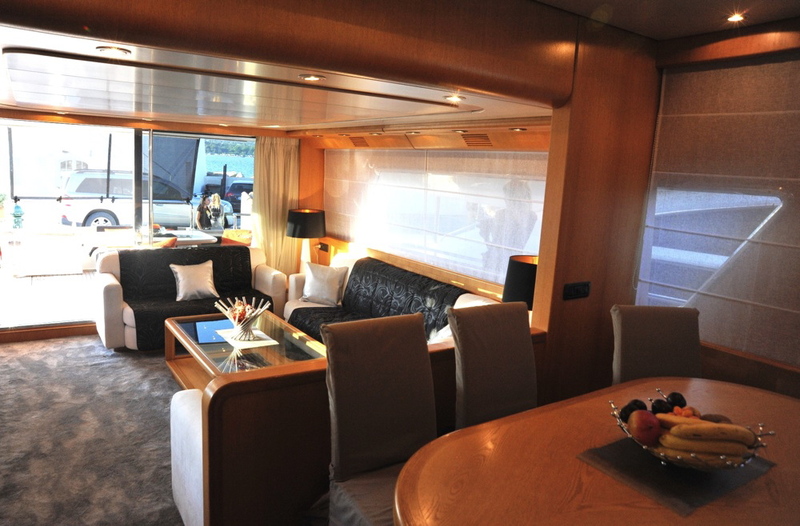 She is a stylish charter yacht offering ample spaces to relax and enjoy. 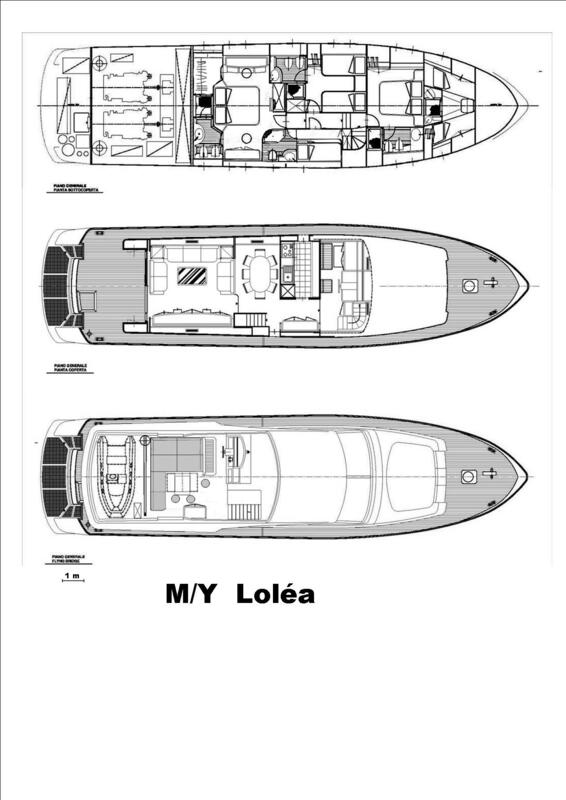 M/Y LOLEA measures 22 meters (72,2ft) and can accommodate up to 8 guests in 4 generous cabins. 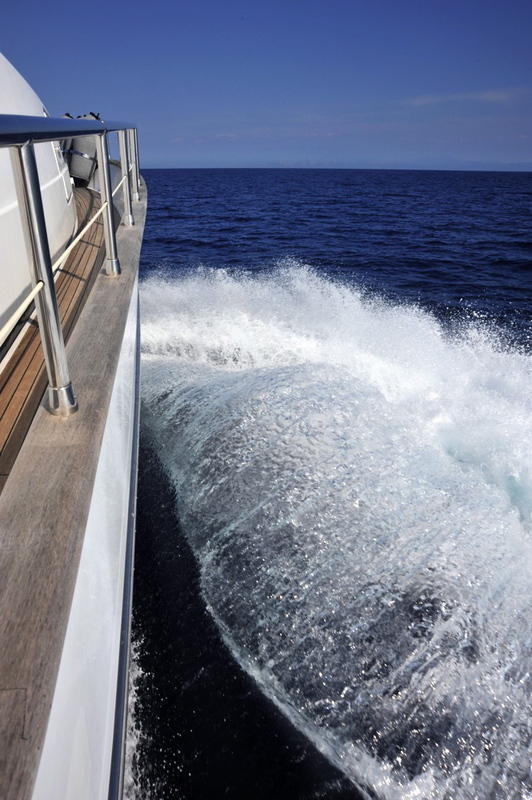 Twin 1300HP engines provide speeds of 20 – 30 knots, ensuring her guests make the most of their Western Mediterranean charter. 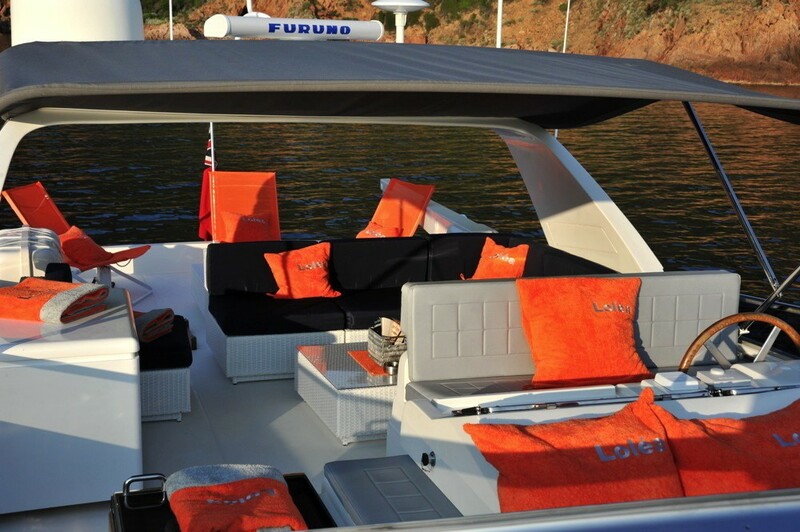 The LOLEA motor yacht has a welcoming relaxed interior with a refined twist. 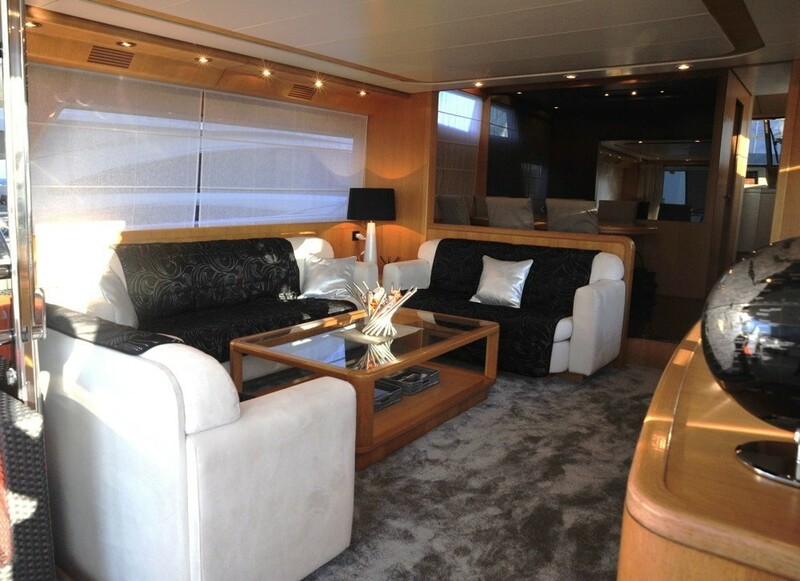 The main salon features 3 crisp white sofas and a large glass top coffee table, a crushed velvet effect carpet brings an element of luxury to the space. 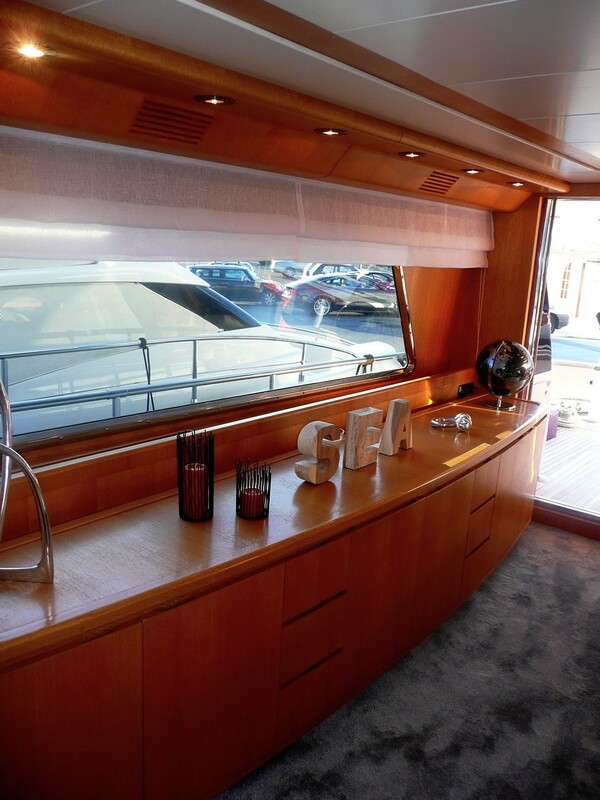 Panoramic windows with optional shades receive plenty of natural light. 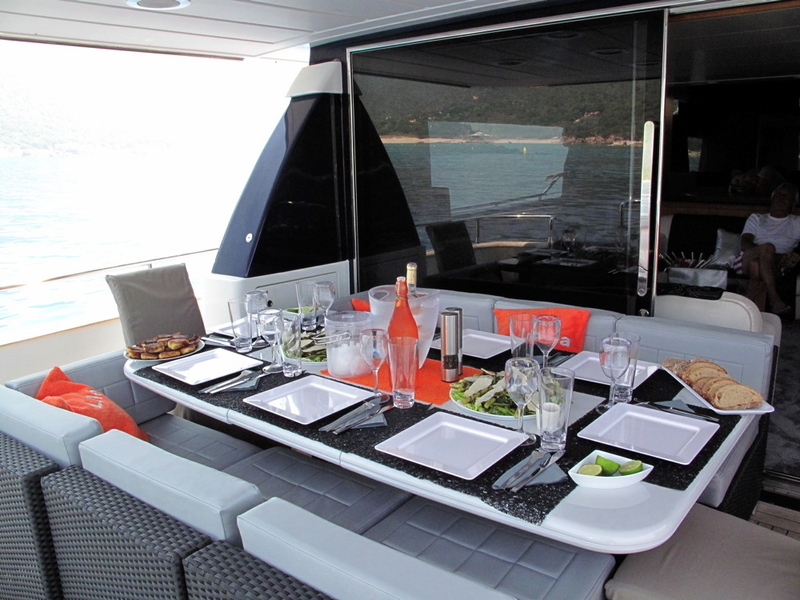 A raised formal dining area is forward of the salon yet separated by a low divider. 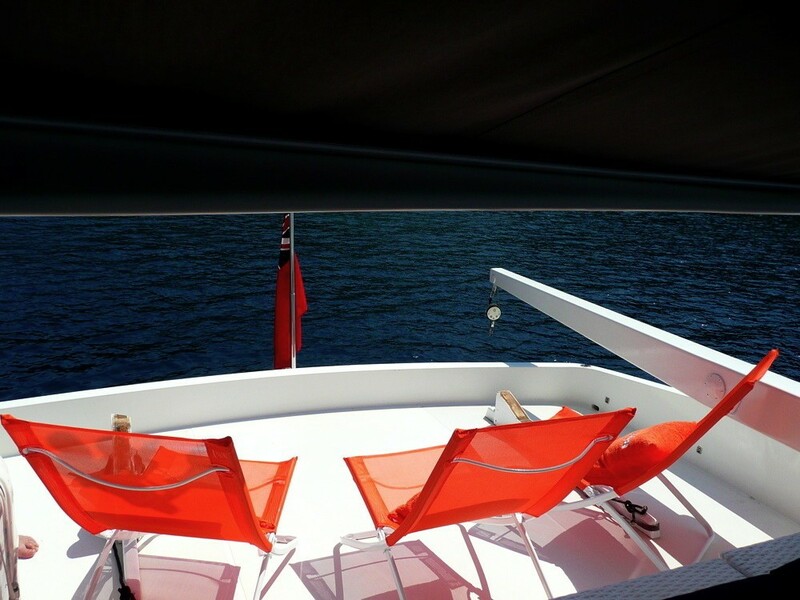 Astern of the salon large glass sliding doors lead to the spacious shaded aft deck offering an alfresco dining option or simply a great place for entertaining, further aft an extended swim platform is ideal for easy water access. 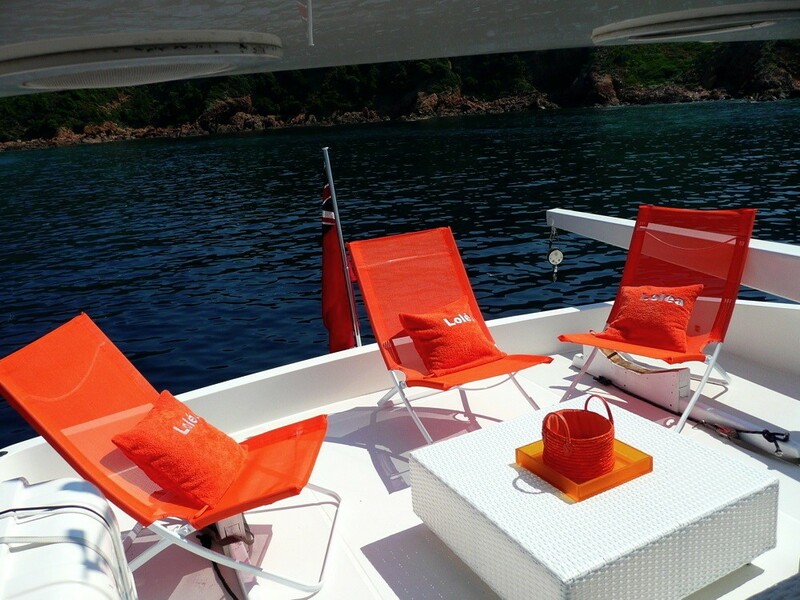 Yacht LOLEA boasts ample sunning with a massive sunpad and seating on her foredeck. 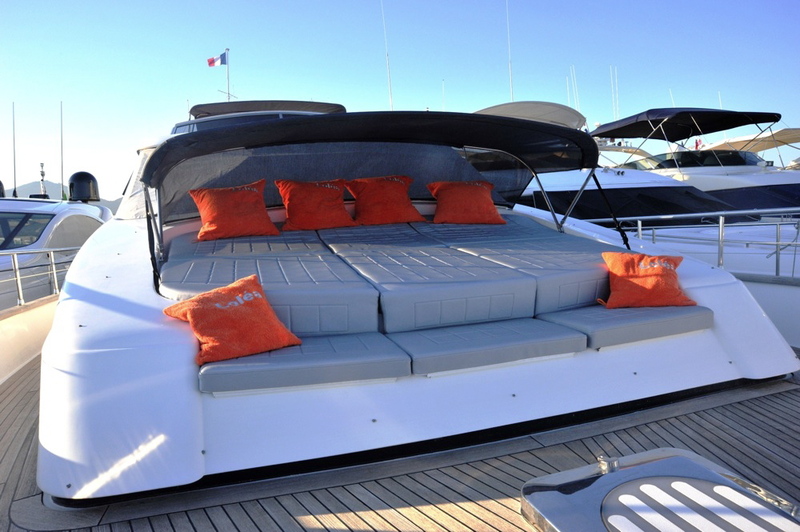 Above the main deck, the flybridge is the perfect spot for sunning on the chaise lounges or relaxing in under the optional Bimini on the custom built L shaped sofa with drinks table. 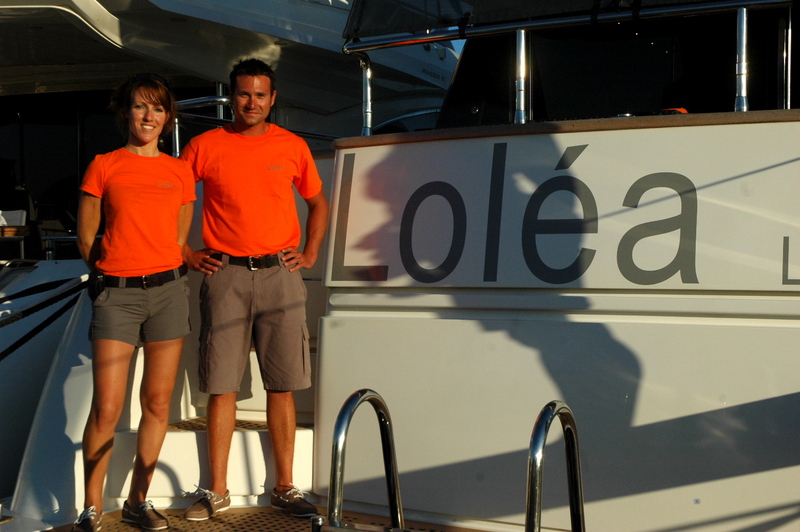 Charter yacht LOLEA has a beam of 5.6 meters (18ft) and draws 1.9 meters (6.2ft) under the water; she cruises at 24 knots with top speeds of 30 knots. 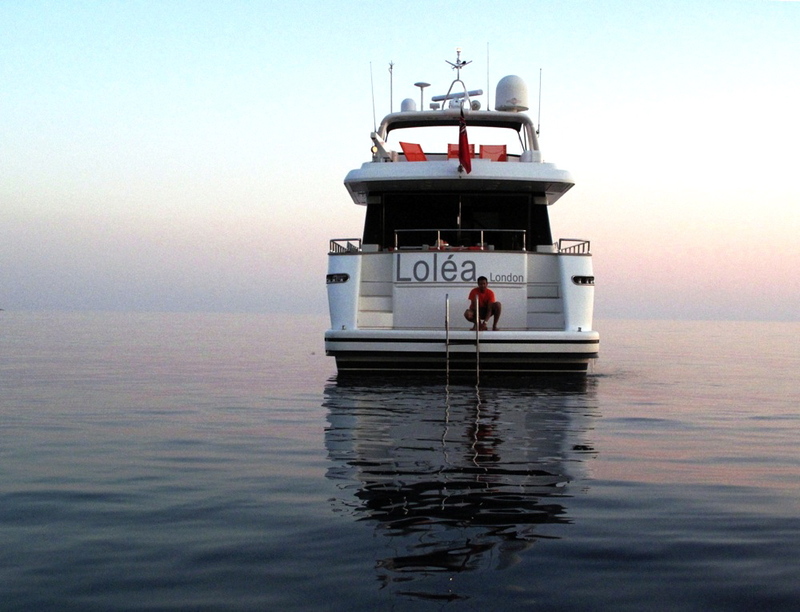 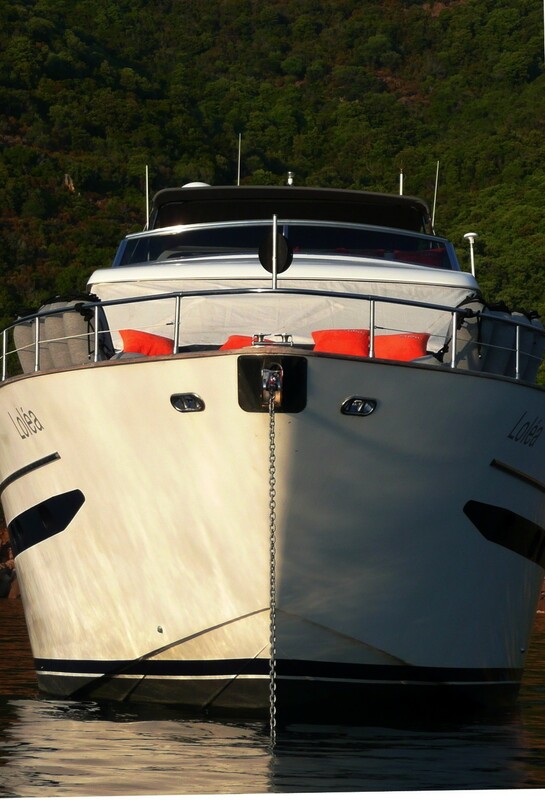 Luxury yacht LOLEA offers accommodation for up to 8 guests in 4 cabins; the master cabin is full beam of the yacht amidships and boasts a walk around double bed, sofa, vanity, walk in closet and en-suite facilities. 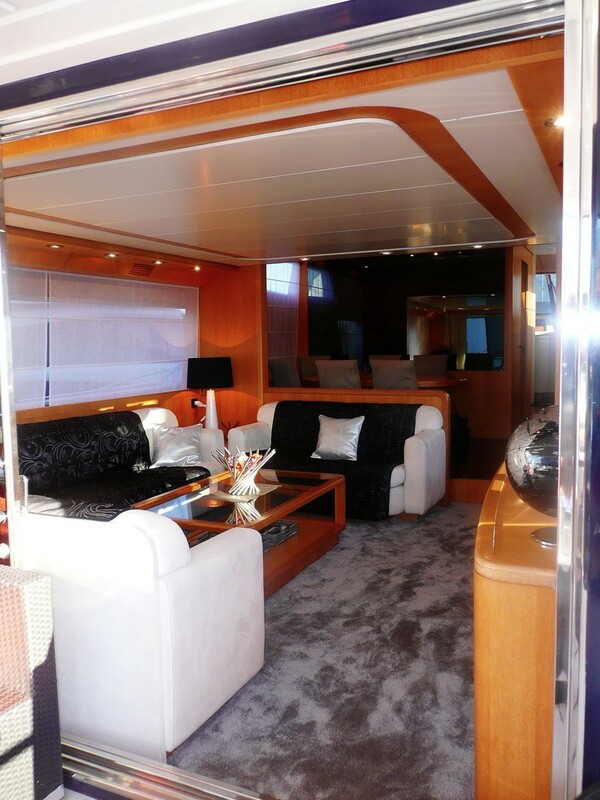 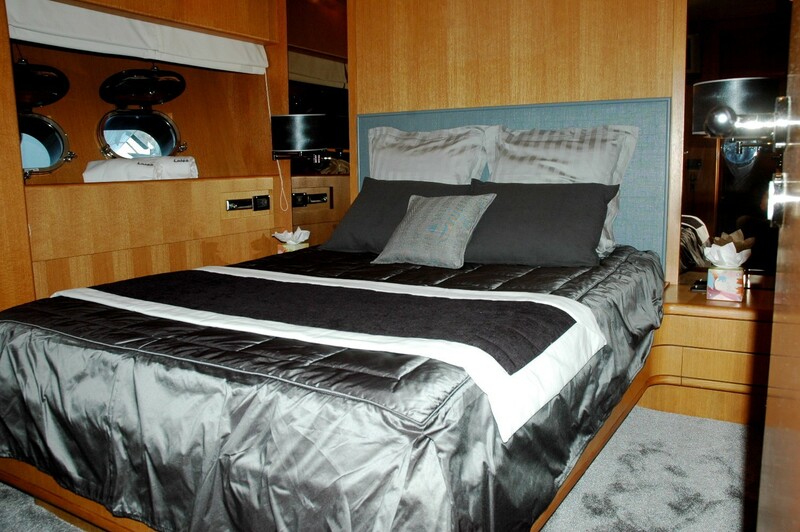 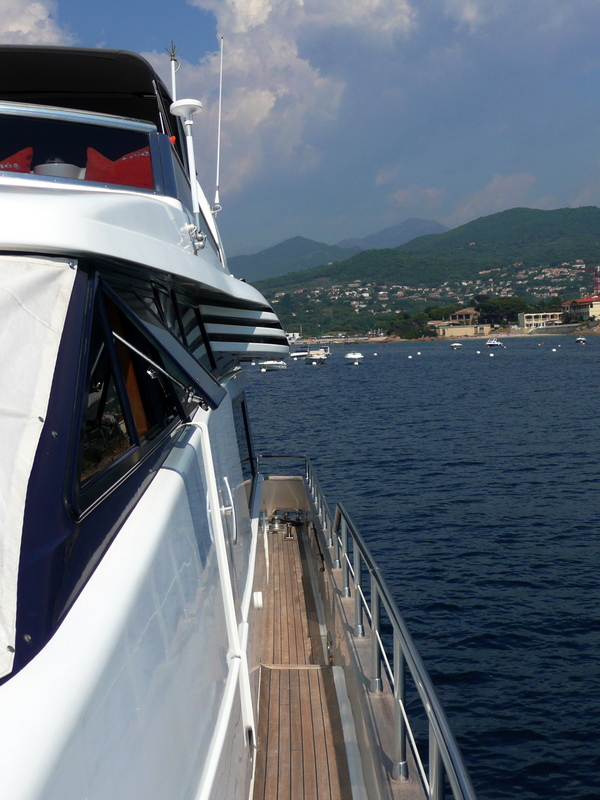 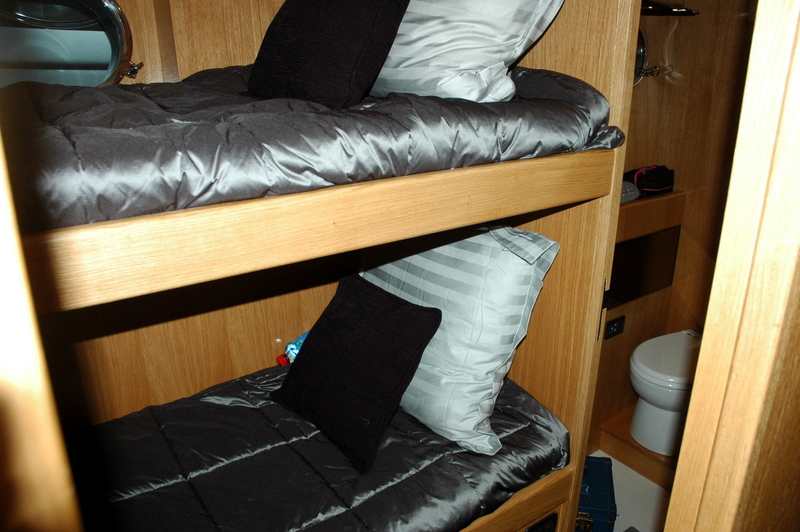 The VIP cabin is forward and full beam of the yacht with a walk around double bed and en-suite facilities. 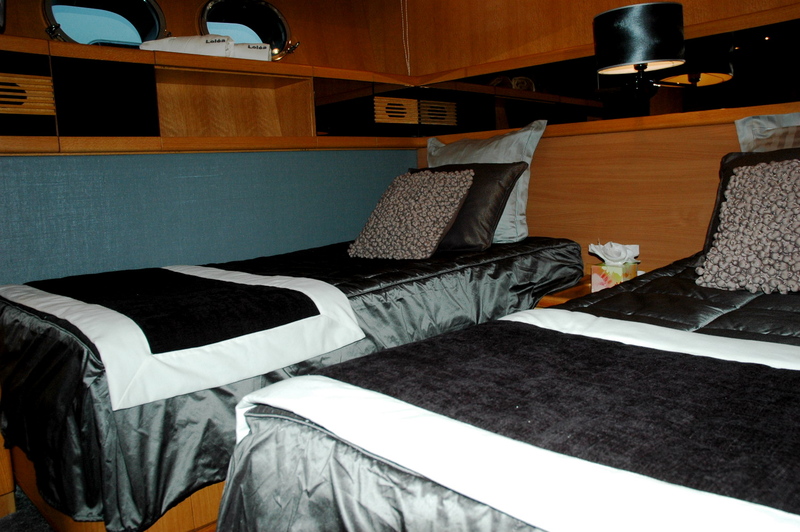 A further 2 twin cabins have 2 twin beds and 2 bunk beds, both cabins offer en-suite facilities, all cabins come complete with TV and stereos.